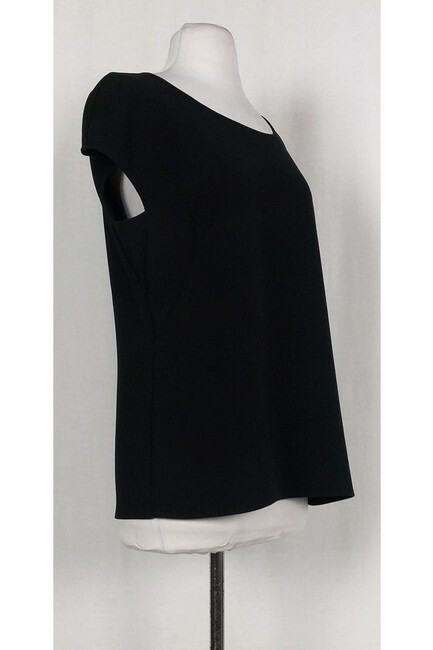 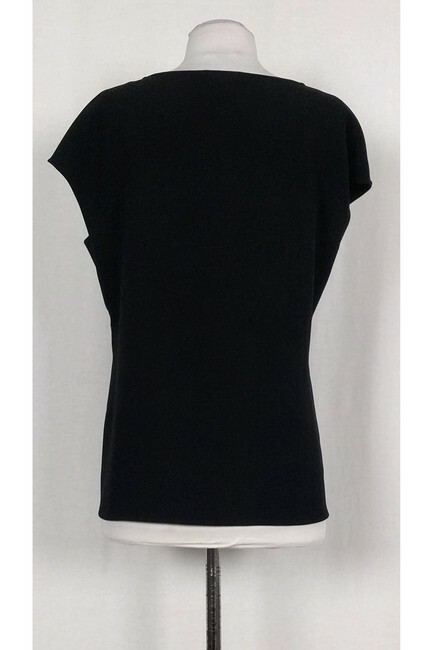 Chic black top from Escada. 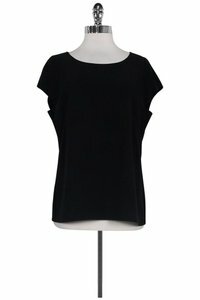 Made with a rounded neckline and feminine cap sleeves. Style it for the office or after-hours.